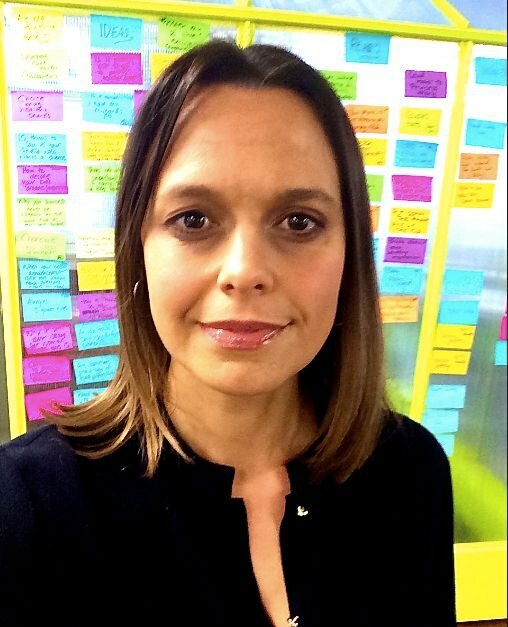 Mia Freedman on welcoming the Paid Parental Leave backflip. Mia's backflip: "Why I no longer support Tony Abbott's PPL." I used to be a fan and a supporter of Prime Minister Tony Abbott’s revolutionary paid parental leave scheme. My reasons were pretty simple. I believed that parental leave should be treated the same way as any other type of leave such as sick leave or annual leave. That means it should be at the full wage of whoever took it. Yes, that means some people would receive more during their maternity leave than others. But that happens already. Westpac Bank’s Gail Kelly earned a lot more when she was home with the flu than you do. Even if you have the same flu. Same with Christmas holidays. Not everyone’s time is worth the same amount. Fact. It’s also true that all our lives are indexed to our incomes. Your rent or your mortgage, all your living expenses are based on what you earn. Assuming we want one parent to be able to stay home with the baby in those early weeks and months of life (which is the purpose of any PPL), a workable scheme needs to take that into account. 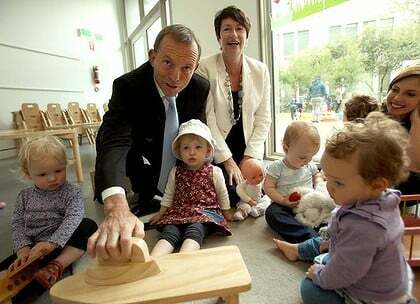 Tony Abbott: Popular with the babies. And I’m as proud of my backflip as I would be if I were wearing a leotard and had just done an actual one on the floor. I no longer support the idea of Government-funded paid parental leave that gives every woman her full wage for 6 months up to $150K per annum (ie: a maximum payment of $75K for the six months). I don’t even support that amount coming down to $100K per annum (maximum of $50K). Annual leave and sick leave are costs borne by an employer who makes discretionary decisions about wages based on what that person is worth to them. Tony Abbott’s proposed PPL is a government payment, so it IS different to annual leave and sick leave. It’s about how the Government values a person’s time not just at an economic contributor but as a family contributor. In addition, the childcare system is terribly broken. Primary and high school education may be free but childcare is prohibitively expensive and there is a massive shortage of places. While it’s wonderful to support new parents taking maternity leave, at the end of those six months, if nobody can find affordable childcare, this simply creates a new problem. Funds should be diverted from a more generous PPL scheme to instead improve the affordability and availability of childcare. The additional money could be better spent. These are my very topline thoughts but they’re different to the ones I had a year and two years ago where I spoke out in favour of Abbott’s PPL. Because I kept my mind open. I listened to arguments made persuasively by many people I admire and respect. People who know far more than me about public policy, people whose lives will be directly affected by this proposed new legislation and people who have very differently opinions to mine. I thought about the issue more and over time, I changed my mind. Is that a backflip or is that a change of mind based on new information I hadn’t previously considered? Politicians love to taunt each other with the word ‘backflip’, as if it’s somehow a sign of weakness. But in the right circumstance, I think it can be a sign of strength. As I get older, I’m less and less interested in people who refuse to learn and grow and change their views. I don’t mean about scientific things like vaccination. Science is not a matter for opinion. There are no “two sides” when it comes to science. Just facts. But there are so many other things where changing your mind – or at least opening it up to other possibilities – is a positive thing. Think about this: if we hold politicians to keeping the same views throughout their political careers – and indeed their lives – then that means we leave no room for them to evolve. It means Tony Abbott will never be allowed to reverse his position on marriage equality, like Barack Obama and Kevin Rudd did before him. It means that we can never expect a more humane approach to refugees. 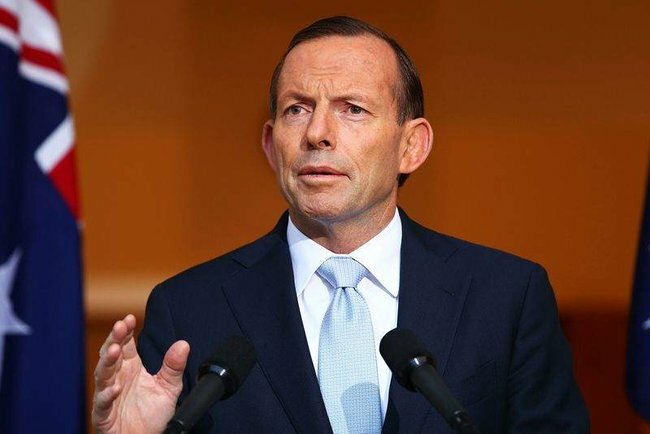 It means that Tony Abbott would have always had to have held firm to his position that climate change was “crap”. I’m not suggesting all bets should be off when it comes to sticking to your word or being consistent. But there are some backflips – and reversals and revisions – that should be welcomed if it means politicians are listening to a population who are pushing firmly back on a proposed policy like this one. A policy that – in my opinion – is neither fair nor what most Australian parents actually need.